Their report reminded me of a children’s picture book I was looking at the other day. Various objects were hidden in each picture and we were supposed to find them. Sometimes it was easy. But sometimes you could look for ages and still not see the object. In fact, you could be looking right at it but still not recognize it. The report reminds me of that book. The fossil ‘graveyard’ in eastern Spain preserves a vivid story of a watery catastrophe but the scientists don’t seem to see the implications. It speaks of animals buried by an unusual, large-scale flood, a flood that reminds me of the biblical deluge. But although the report describes the devastation in graphic detail, the earth-shattering significance seems to waft over their heads. The paleontologists don’t register a spark of recognition. The fossil site was first uncovered in June 2007 by workmen building a high-speed rail link through Lo Hueco, near the city of Cuenca. So, what is significant as far as Noah’s Flood is concerned? First, according to the experts excavating the site, they have recovered some 8,000 fossils to date. Of course, a fossil may represent only part of the animal, such as a limb, a rib or a skull. But 8,000 fossils is a huge number to be buried in one location. That is why the report describes the site as ‘spectacular’, ‘massive’ and a ‘graveyard’. The bulk of the other animals buried were turtles and crocodiles. There were also many smaller fossils such as freshwater clams, individual teeth, bony plates called osteoderms, and fish scales. Third, some of the animals buried were large. 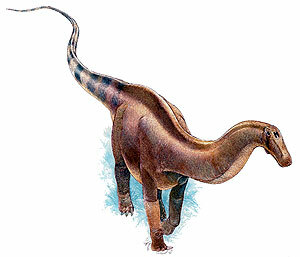 One titanosaur was described as ‘massive’. A two-legged dromaeosaur was said to be 1.8 metres (6 ft) long. Fourth, all the fossils were found grouped together in clay and silt sediments. Sediment speaks of water, of course. Further, to have so many animals fossilized would mean that they would have to die at about the same time. What killed them all? And to have them all buried in the same place would mean that they would have to be collected together from wherever they died. What collected them? That sounds like some flood! How often do turtles and crocodiles drown in a flood? Sanz did not seem to register any sort of a hint that anything unusual had happened at this fossil site. I think their unquestioning belief in millions of years blinds researchers to the obvious. I think their unquestioning belief in millions of years blinds researchers to the obvious. It’s a cultural blind-spot. 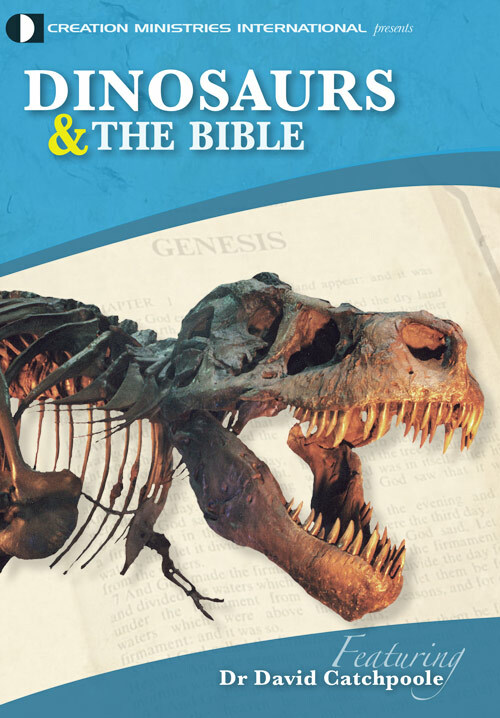 They imagine these dinosaurs are 70 million years old, so how could their burial have any connection to Noah’s Flood? But who measured that age? What observable, repeatable time standard was the measurement calibrated against? And if the fossils were so well preserved and so quickly buried, how could the episode have taken millions of years? These reports of dinosaur graveyards and other fossil evidence that shout ‘watery catastrophe’ are becoming so regular. 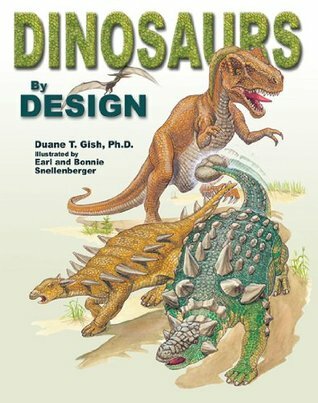 (See for example: Massive graveyard of parrot-beaked dinosaurs in Mongolia and Terrible lizards trapped by terrible Flood.) But like the children’s picture book, the reports predictably don’t mention the significance of what they are describing. Not only can’t they see it but they are not even looking. Owen, J., Massive dinosaur ‘graveyard’ discovered in Spain, National Geographic News, 10 December 2007. Return to Text.